Here are some more graduation cards for guys that I made for orders. I used the same embossing folder as on my last set HERE, but did a little cutting on the diagonal and used different stamps. I love the motivational and inspiring words from the A Creative Journey with Melissa - Awareness Ribbon Set #1 stamp set. 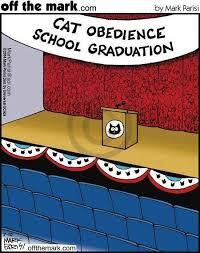 I think they work great with the graduation theme. I made two color variations, so please tell me which you like better. I like the blue one a little better, I think. 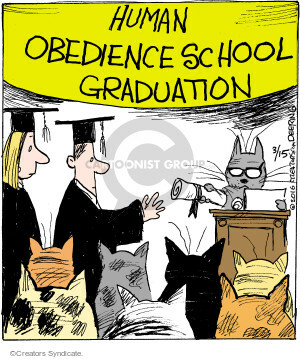 Cute cartoon... I am always telling my husband that our cats have us well-trained. 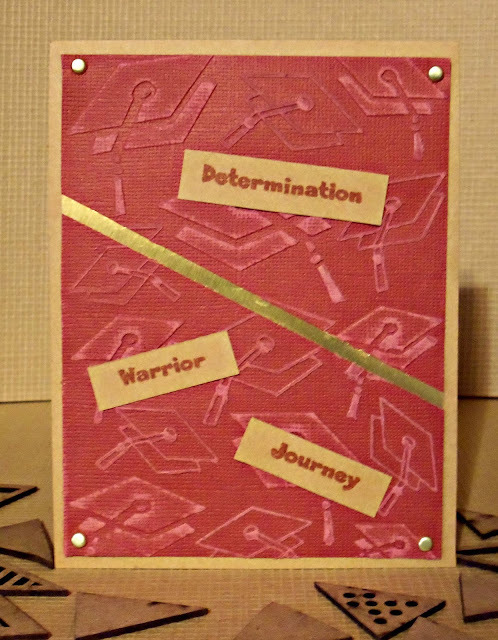 I like seeing your embossing folder used again for masculine graduation cards. I rather like the blue one! Thank you for playing along at Double Trouble. Again thank you for sharing your graduation cards with us, love the texture of the paper used with the distressing of the embossed design folder. Thanks for sharing with us at DOUBLE TROUBLE. hahha that cat meme is so funny! These are fantastic as well, love both color versions, not sure I can choose! Fabulous inspirational words as well! It's nice to see you again at my Crafty Wednesday challenge! Great design. I like both versions. 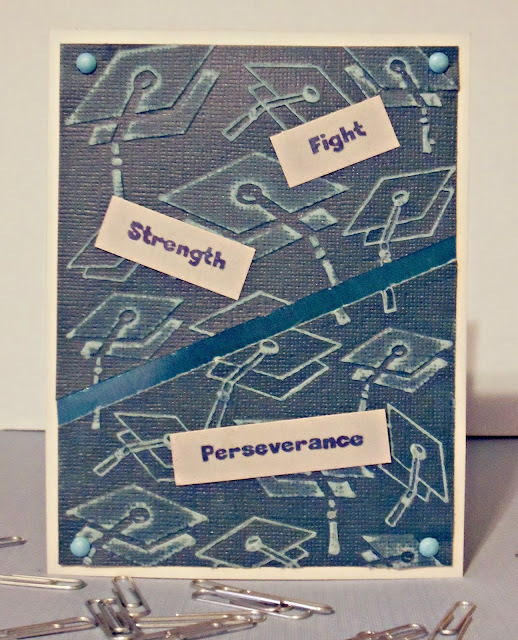 That embossing folder is the perfect card base for graduation cards. The sanded Core'dinations card stock looks wonderful! I like them both, but the blue one stands out most for me because I generally gravitate toward blue. Congrats - HIMCR #356 Winner!